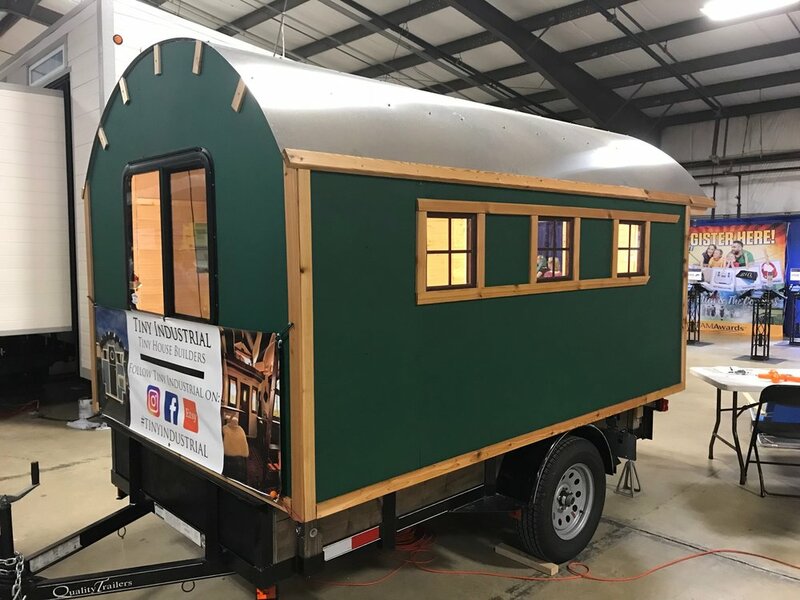 Dream Tiny, the tiny house building and design consulting company started by my Caprika Realty colleague KT Ehrlinger, was one of the featured exhibitors at this year’s Tiny House Expo at the Howard County Fairgrounds. I went to see what it was all about, and to lend a hand to KT and her team on the busy expo floor. 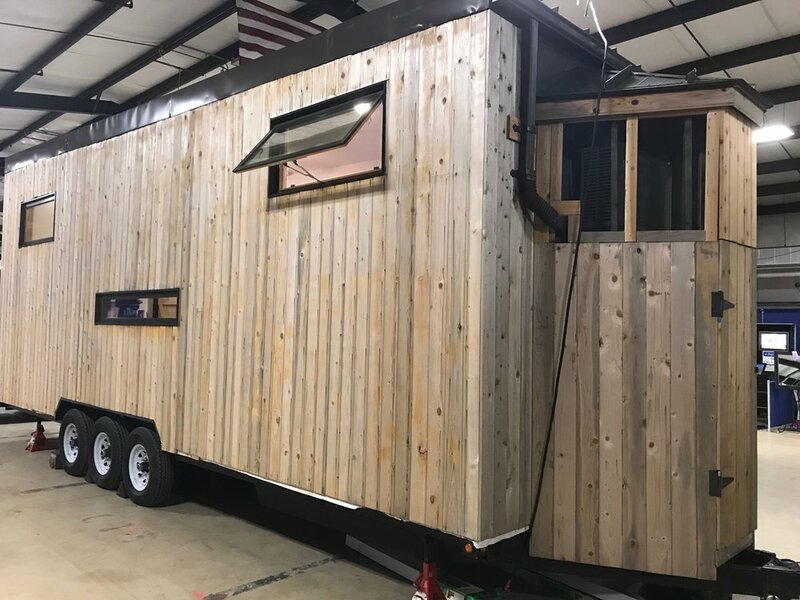 Here are some shots of KT’s tiny house. Rear view of the tiny house. Note the gutter and downspout, leading to the water collection and purification system inside. Wine storage and generous under-the-counter fridge. Priorities, people. Full-sized sink and a generous counter, big enough to accommodate an induction-heat stovetop. KT’s tiny house was the most spacious of the tiny houses at the expo, with very high ceilings and a wide, double French door that cries out for placement in front of some beautiful vista. Where most others use a loft bed (wake up in the night and crack your head on the ceiling, anyone?) KT uses a Murphy bed, just like in a tiny urban apartment. Being tall myself, all of KT’s design choices really worked for me! That said, the others had a more dollhouse-like quality that is quite charming. Here are exterior shots of several. This one borrows the bump-out concept from large mobile homes. Loft bed is in that little bump-out on the left half of the roof line. Look at that covered front porch! Love the modern vibe of this one. This teensy cabin would look right at home in the forest. Such careful detail! That half-moon window is so charming. This one seems more like a little garden shelter, someplace to have a tea party! 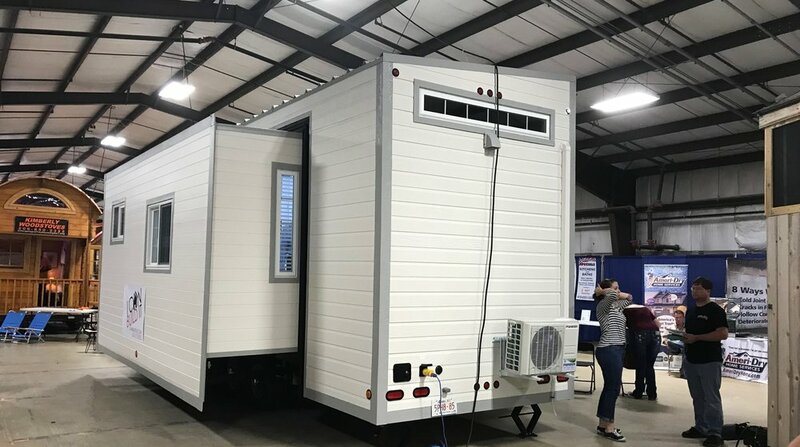 Of course, the tiny home concept isn’t really new—just the design focus that elevates these structures from trailer to high style. There were some throwbacks to an earlier era here, too: a mini yurt, a DIY box truck conversion, and a couple of great school bus houses! Love that they kept the Blue Bird above the door on this custom paint job. 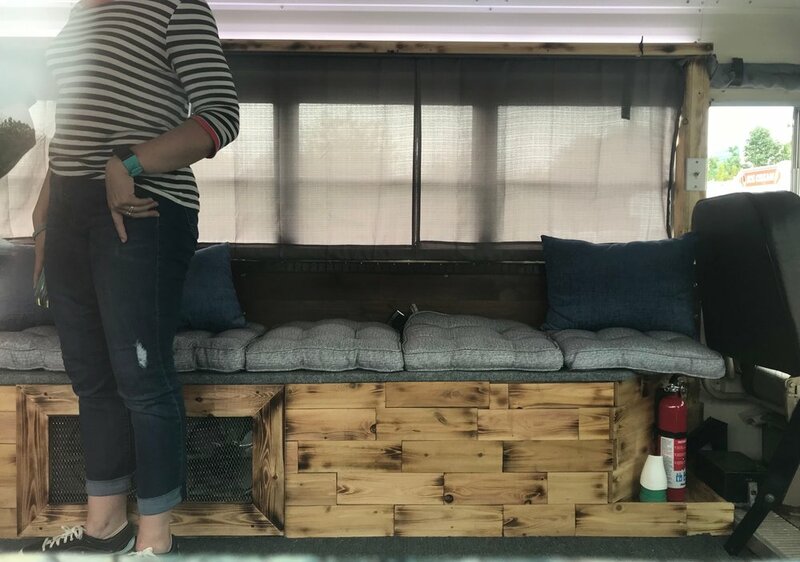 Another classic approach to tiny living: the van. Here’s a great one, all ready to park down by the river. Plain white work van on the outside, cushy crash pad on the inside. Flat screens and party lights inside the work van. It’s a rolling fiesta.